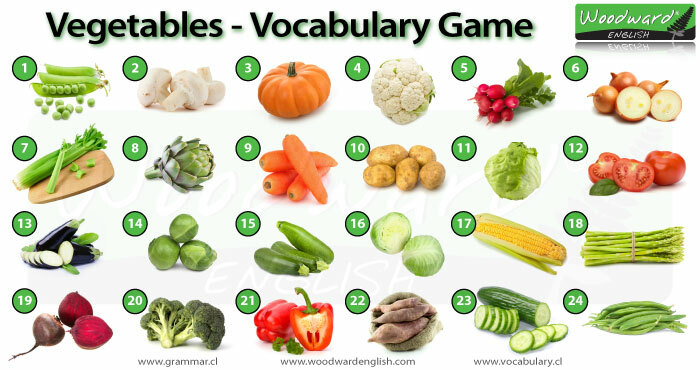 Learn vocabulary for vegetables for the topic of food. In IELTS it is possible to get the topic of either food or just vegetables in speaking part 1. Make sure you include lots of interesting vocabulary in your answers. Can you name all the vegetables in the picture below? Under the picture is a list of possible words, not all of them are in the picture (there are 26 words but only 24 answers needed). I’m really satisfied by your service. My exam date is march 14,2019. I will follow your recommendations. Try opening a paypal account and using that to pay. Or ask a friend to buy the lessons for you. My exam is on 15th Dec 2018 but I am very scared doing writing part, it is not improving. I really had a difficult time to get a 7 in my reading. I have been reviewing for almost a month now but still no improvement at all. I did attend review center and the tips I got were useful but I feel like I did not improve at all. I can not listen to the post when i am trying to listen and write at the same time. I means I have to pause then start again many times. It juts allow me to listen for the whole passage instead of pausing and starting again and again. How can i do? please give the information about academic IELTS writing both task. thank you very much for those lessons . The tips for GT and academic reading are the same. All question types are the same so follow all my usual reading tips. Kindly Upload Reading material for Acedemic. Sorry these videos can’t be downloaded. You can watch them on youtube if you wish. hi hope you are doing fine, i really appreciate your work though… i have problem in listening map questions and Mcq’s …what should i do ? as i can’t overcome my both problems. Sorry I don’t deal with FCE. May be one day I will take a look at that test. Thank you for the effictive effort. hi myn name is Beko i want to take this programm.please help me ? This is not a programme. This is a free website with practice exercises and tips for IELTS. I don’t work or study at the moment …. Hi mam. I want to thank you for providing such out of the box tips for ielts. I want to improve my score in reading section(5.5) to (7) in my upcoming exam. I want to confirm that the level of the actual reading exam is same or less than the level of practice booklet we get from idp? Also, how can i improve my vocab to understand text in reading passage easily? I am Sunitha from India. I am glad to know you to IELTS website. Your teaching skills are awesome. Currently I have applied for IELTS test. I want your support in exporing myself in the english language. How can I connect you for any calrifications. Sorry, but the only help I provide are lessons and tips on this blog. Most pages are focusing on IELTS exam skills rather than English.